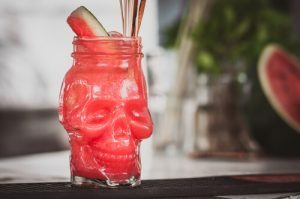 Alcoholism can have a profound impact on the brain, and one of the ways it can damage this vital organ is through something called a wet brain. More formally known as Wernicke-Korsakoff’s Syndrome (WKS), it develops slowly over time and is among the most devastating alcohol long-term effects. As such, it generally is not noticeable until the brain has been consistently exposed to alcohol for long periods. This is why the nearly all individuals with wet brain syndrome also have chronic alcoholism. A devastating disease, it is vital that people understand what is the wet brain. What is the wet brain statistics? What are the wet brain diagnosis and prognosis? What is wet brain, and what causes it? Wet brain disease is a reduction in cognitive function due to physical damage to the brain from alcohol. This disease is caused by a vitamin B1 (thiamine) deficiency. Wet brain is an umbrella term for two separate diseases: and Wernicke’s encephalopathy and Korsakoff’s psychosis. This is why its formal name is Wernicke-Korsakoff’s Syndrome. In general, Wernicke’s encephalopathy will develop first, leading to the development of Korsakoff’s psychosis. This raises the question: how does alcohol relate to thiamine deficiency? The brain on alcohol reacts in specific ways. One of those ways is a reduced ability to absorb thiamine. This is incredibly dangerous as thiamine is central to proper brain function. Over time, a chronically reduced absorption of thiamine results in brain damage. The problems with thiamine absorption are not exclusive to the brain. 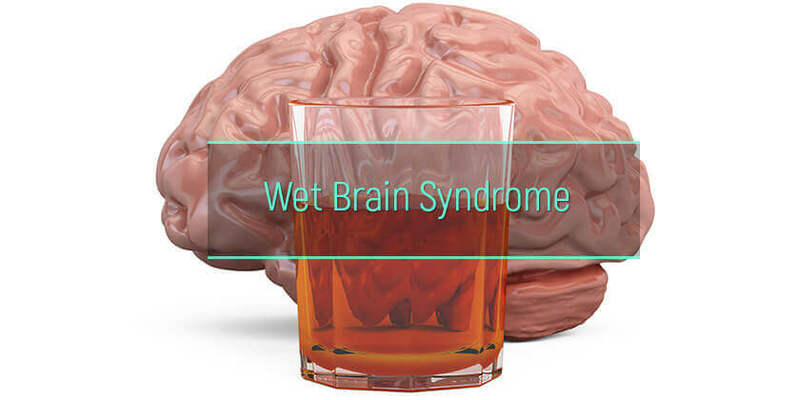 Wet brain alcoholism actually starts in other organs—specifically, the liver and digestive tract. The liver stores thiamine and the gastrointestinal tract extracts it from food. Heavy alcohol consumption depletes the thiamine stores in the liver and makes it more difficult for the digestive tract to process it. As a result, the alcoholic wet brain receives less thiamine to start with, which is only made worse by the brain’s reduced ability to absorb the vitamin. A compounding factor in the development of WKS is that, in many cases, addicts will forgo some meals in favor of drinking alcohol. A poor diet that is lacking in vitamin B1 is associated with cognitive diseases such as wet brain. Anyone who is a chronic or heavy drinker is at risk of developing WKS. What are the symptoms of wet brain? Because WKS is composed of two separate diseases, there are two unique sets of symptoms that can indicate the development of WKS. Wet brain symptoms start with those of Wernicke’s encephalopathy. If untreated and alcohol drinking continues, they then progress into those of Korsakoff’s psychosis. With either condition, signs of wet brain are cause for immediate treatment, as symptoms do not arise until WKS is significantly progressed. Left untreated, the disease can result in death once the final stages of wet brain are reached. Wet brain disease can shorten the lifespan of those who suffer from it. This disease and other alcohol-related diseases can reduce the lives of their sufferers by as much as 30 years. As such, wet brain life expectancy is short. Once WKS progresses to the point that there are noticeable symptoms, the prognosis for the individual is not good. Significant short-term intervention is required, while about 25 percent of patients will need long-term institutionalization. Even when treated, the majority of patients will continue to have at least minor symptoms of wet brain disease for the rest of their lives. When WKS disease reaches severe levels, the mortality rate is as high as 20 percent. Around two percent of the U.S. population suffers from wet brain disease, mostly those with alcohol issues. Some people are at greater risk of developing WKS than others. Because it is caused by sustained heavy drinking, binge drinkers are less likely to develop the condition than those who drink alcohol heavily on a daily basis. Those who are genetically predisposed to addiction also are at a higher risk of getting the disease. There is also data showing that those with fetal alcohol syndrome have a greater likelihood of becoming alcoholics, and thus developing wet brain. Diagnosing wet brain syndrome is not easy to do. The symptoms of the disease are similar to many other cognitive diseases, including varying forms of alcohol memory loss syndrome. It can also be confused with alcohol blackout behavior. Additionally, the patient may struggle to communicate their symptoms due to the confusion and memory loss caused by the disease. The first step in diagnosing a wet brain drunk person is usually to establish that alcoholism is present. This can be from speaking with the patient about their drinking habits, checking liver function, and looking at basic physical functions like heart rate, eye movement, and reflexes. Once alcoholism is diagnosed, the doctor can run bloodwork to check for a vitamin B1 deficiency. Should they find that there is a deficiency, they may order ECG, EKG, CT, and MRI scans to determine how severely the brain has been impacted. Once they know, they can start treatment. The prognosis for WKS recovery gets worse the longer the patient suffers from the condition. Full recovery is rarely possible, though those whose condition is caught in the early stages have a high chance of living a normal life with the proper treatment. By the time the condition advances to psychosis, treatment can help the person live a better life, but it is unlikely they will ever achieve true normalcy. While treatment is vital, for alcoholics, it comes with some risks. The sudden addition of vitamin B1 in the body can trigger alcohol withdrawal symptoms. As such, alcoholics receiving treatment for wet brain disease usually receive co-occurring treatment for alcohol withdrawal. Anyone suffering from alcoholism is at risk of developing WKS disease. As such, those struggling with an alcohol addiction should seek treatment before such lifelong problems can develop. Alcohol treatment centers are located across the country, offering quality care for those who need it. No matter what stage of alcoholism someone is suffering from, they can find the alcohol treatment right for them.